I love brussel sprouts. I would eat them everyday if I could. Why do they get such a bum wrap? They are mild, earthy, and have such a great texture. I don’t get it! 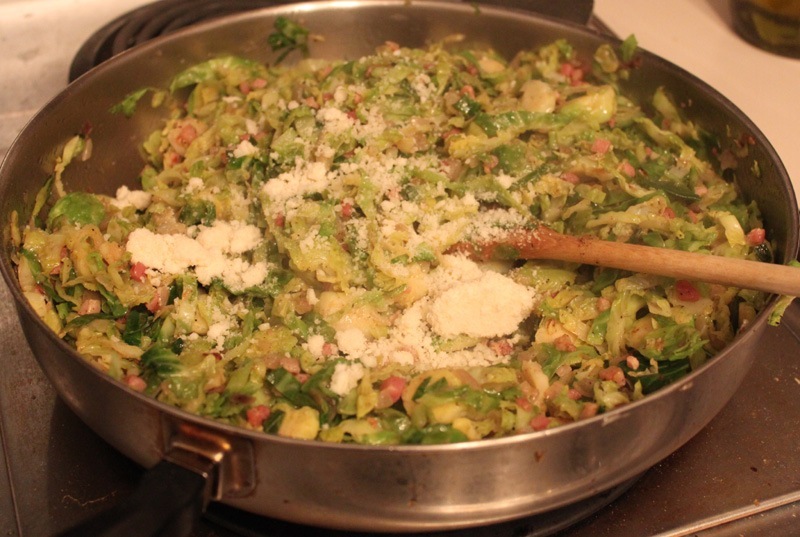 Anyway, at the beginning of November I caught The Neely’s making a yummy looking brussel sprout dish with bacon. I knew this was a must-have at Thanksgiving. I modified the recipe a little and made it on the morning of Thanksgiving. You can’t really make this dish ahead of time but it’s worth it on the day. 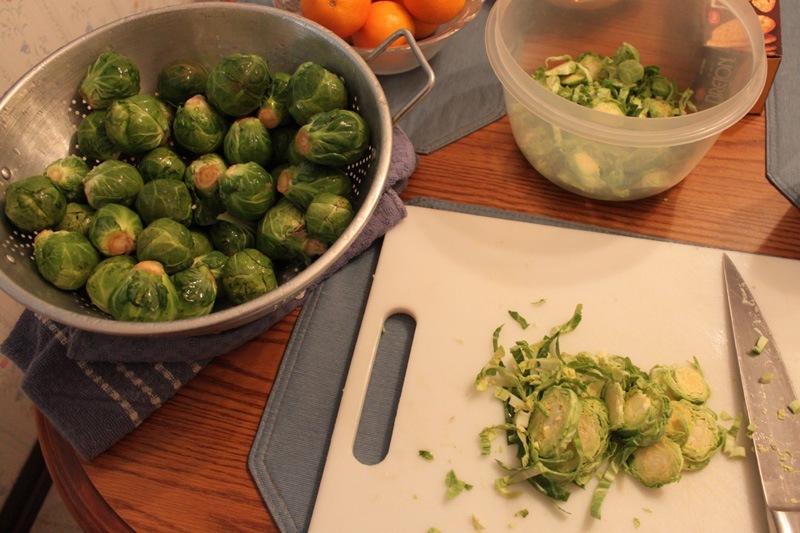 and shredding up my brussel sprouts. 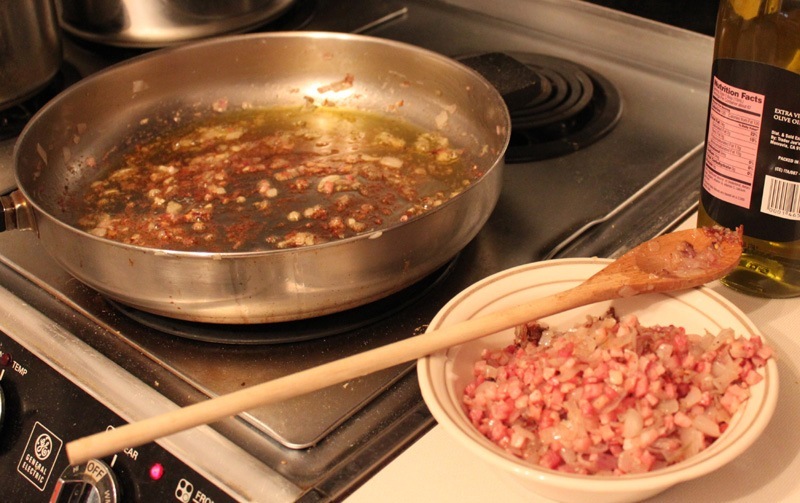 I sauteed the shallots, pancetta, and 1 tbsp. of EVOO over medium heat in a big pan until everything was browned. This took roughly 7-10 minutes. 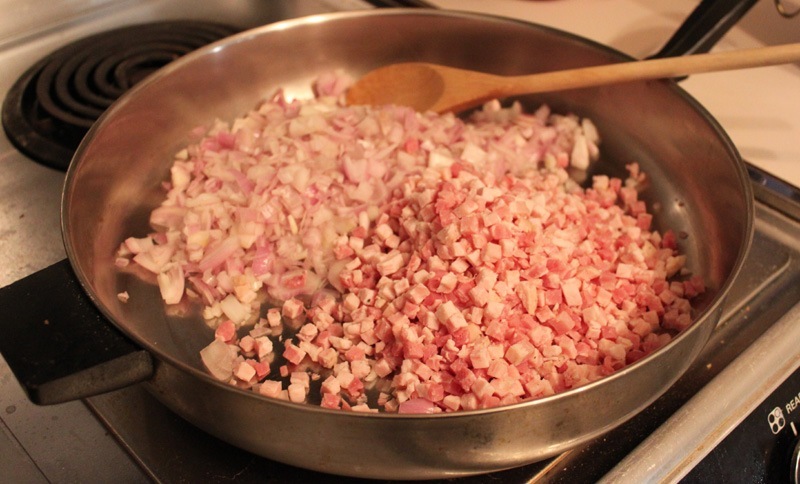 Once browned, I removed the shallots and pancetta and added another tablespoon of EVOO to the warm pan. The key here is to use the same pan with all the browned bits in the bottom. More on that later. 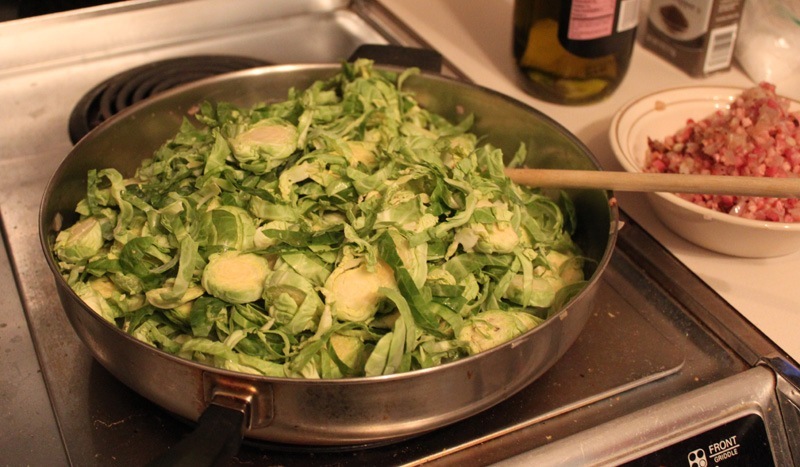 I added the brussel sprouts and sauteed over medium heat until they began to soften. I added the remaining two tablespoons of EVOO during this time to make sure nothing stuck to the bottom of the pan. 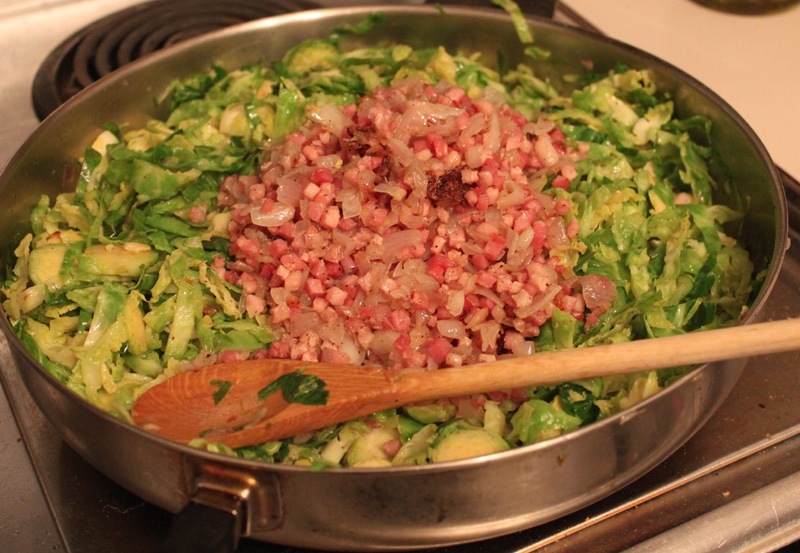 When the brussel sprouts were tender, I added the shallots and pancetta back in, poured in roughly 1 cup of the chicken broth to help get the bits off the bottom of the pan, and stirred. When the mixture was combined, I sprinkled some parmesan cheese over the top. Taste for seasoning and add salt and pepper as needed. 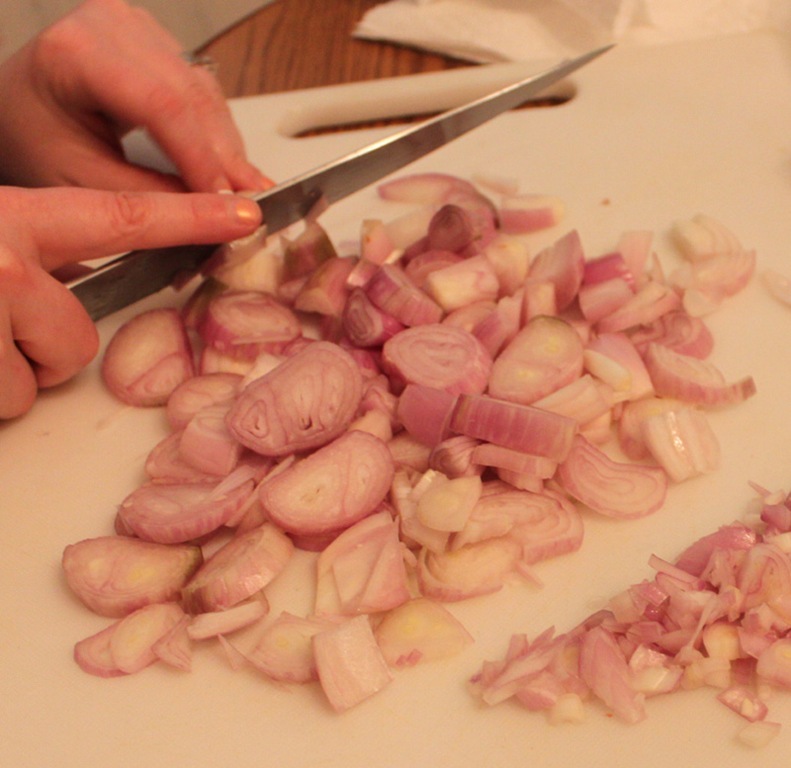 Keep warm on the stove over low heat. This was one of my favorite Thanksgiving dishes. 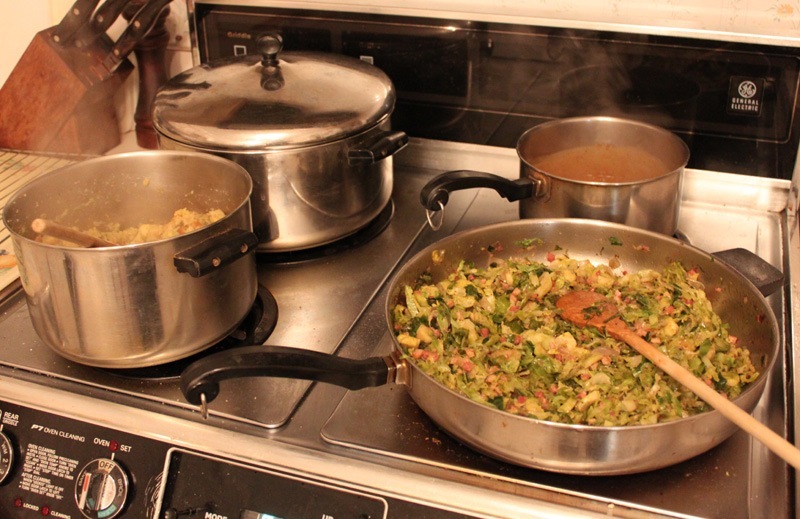 The brussel sprout flavor was a perfect match with the shallots, pancetta, and broth. If you like brussel sprouts, you have to try this one. And even if you don’t, this may change your mind! 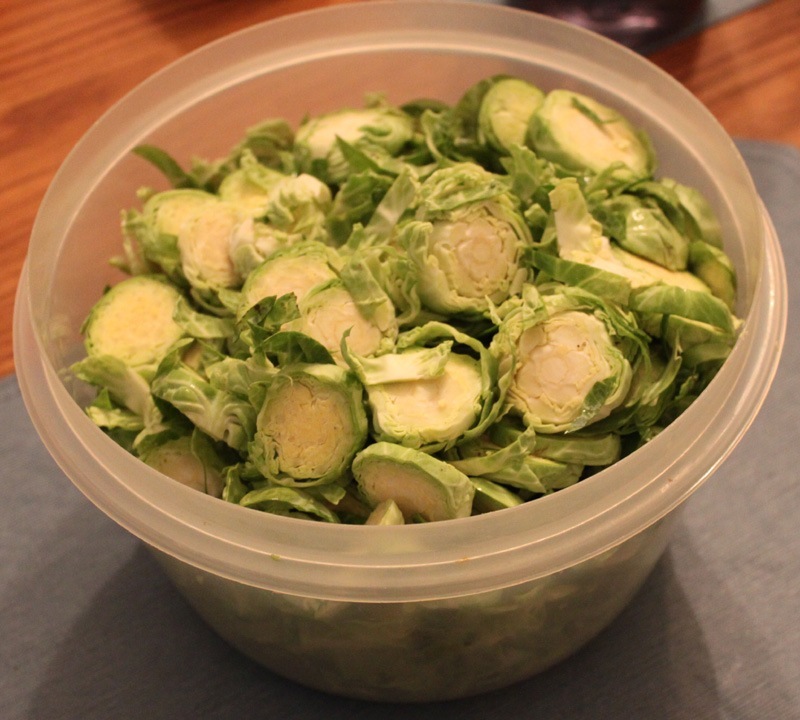 I have frozen brussels in the freezer and now I know what to do with them. Thanks for sharing.